Spycraft during the American Revolution consisted of a complicated system of hidden networks, interpersonal relationships, scientific knowledge, personal cunning, guile and risk taking. Ciphers and secret codes were used to ensure that the contents of a letter could not be understood if correspondence was captured. In ciphers, letters were used to represent and replace other letters to mask the true message of the missive. The letter’s recipient utilized a key--which referenced corresponding pages and letters from a well-known book, such as Entick's Dictionary--to decode the document’s true message. Some spy groups even created their own pocket guide to serve as a cipher’s key. Similarly, some letters were written in intricate secret codes where numbers and special characters replaced letters, a method most notably practiced by the Culper Spy Ring. 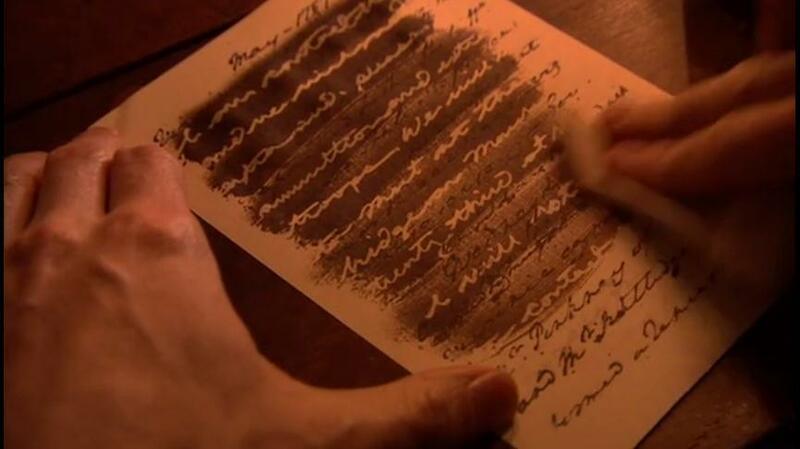 One form of secret writing used by both the British and American armies was invisible ink. During the Revolutionary War invisible ink usually consisted of a mixture of ferrous sulfate and water. The secret writing was placed between the lines of an innocent letter and could be discerned by treating the letter with heat or a chemical substance. The recipient placed the paper over the flame of a candle or treated it with a chemical reagent, such as sodium carbonate, which would reveal the letter’s hidden contents. British spies placed rolled up letters and small notes into a variety of holsters to hide potentially sensitive information. The hollowed out quills of large feathers that were used as writing utensils, for example, could hide a tightly rolled up letter. Other materials were used to hide messages, ranging from buttons on a textile to hollowed out small, silver balls. One particularly unlucky British spy named Daniel Taylor was caught in New Windsor, New York with a message sent from Henry Clinton to John Burgoyne hidden inside one of these small silver balls. In haste, the spy swallowed the silver ball to avoid detection. However, Patriot soldiers forced the spy to drink a purgative and vomit up the ball. Momentarily undeterred, Taylor grabbed the ball and swallowed it again. Under the threat of being hanged and having the ball cut out of his stomach, Taylor relented. However, Taylor would eventually meet the cruel fate of the gallows, executed on October 16, 1777. The true contents of letters were also hidden through the use of mask letters. 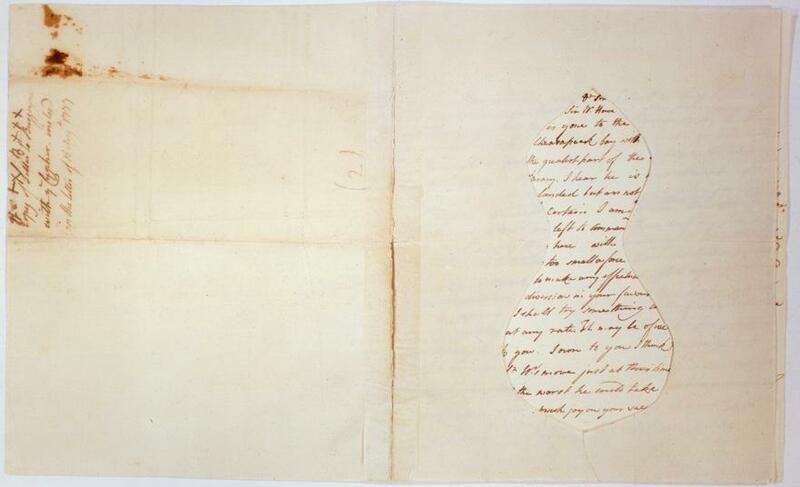 These documents were intended to be viewed by a recipient who would place a shaped template over the full letter. The true message of the letter would then appear within the boundaries of the “mask.” The letter and the “mask” were usually delivered by separate couriers to ensure that the trick would go undetected. Washington in 1781 was unable to write to Lafayette in Virginia because Lafayette didn't have a cipher and James Moody, a British spy, was consistently stealing Washington's mail. British Generals Burgoyne, Clinton, and Howe, several times during the war, created letters with false information that they hoped would fall into American hands. They hoped the Americans would be deceived by the information. James Moody had lived in Sussex County, New Jersey before joining the British. He knew the passes through the mountains that Washington's curriers had to take. He would wait until the courier tried to travel through the pass then he relieved him of their correspondence. Both sides were able to get one of their spies to be an express rider carrying the mail. David Gray was a courier for the British going from New York City across Long Island through Connecticut to Colonel Samuel Wells, a resident British spy, in Brattleboro, Vermont. He would return through Westchester County, New York but would stop in the Hudson Highlands where Washington would read the mail he was carrying. The Americans operated Black Chambers in the Highlands and General Philip Schuyler ran one in upstate New York. The stamp in the seal would be duplicated, the letter was opened and if needed transcribed, and the letter resealed using the duplicate seal. The French started a Black Chamber operation in 1590. The British operated a black Chamber in the British post office since at least 1732 and since 1765 all diplomatic mail was read. Washington had set up both New York Black chambers, the one in the highlands and General Schuyler's operation. A Mr. Fish of the Saratoga area of upstate New York had advised Washington that Moses Harris was to be a British courier of secret correspondence for the British between Canada and Albany. Harris had proposed that Fish should intercept him and take the letters. Washington had a better idea. If Harris did not deliver the letters he would be suspected and not trusted with future mail. Washington had Harris take the letters to General Philip Schuyler who would open the mail, transcribe them, reseal them, and send Harris with them to their destination. This would allow Harris to be a trusted courier for the British and the Americans would learn more of the British operation in upstate New York. Elias Nexsen, a New York City merchant, was asked by the British commander on Staten Island in 1776 to deliver a letter to Royal Governor Tryon who was on board a ship in the harbor. Nexsen, as he put the letter in his pocket, was able to slip his finger under the freshly sealed letter thereby loosening the seal. He took the letter to Washington who read it and resealed it. He delivered the letter to Tryon. The letter informed Washington that the British were going to attack Long Island which happen on August 27, 1776.